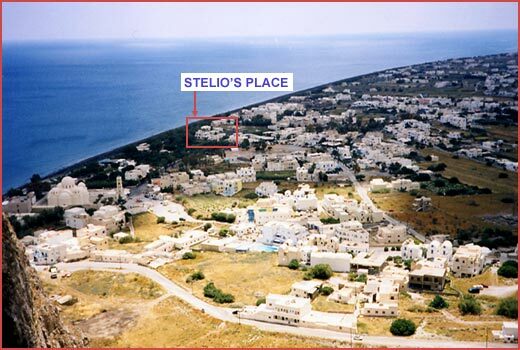 If you're looking to stay at the most recognized Hotel / Property at Perissa Beach, then Stelios Place is where you'll find yourself. 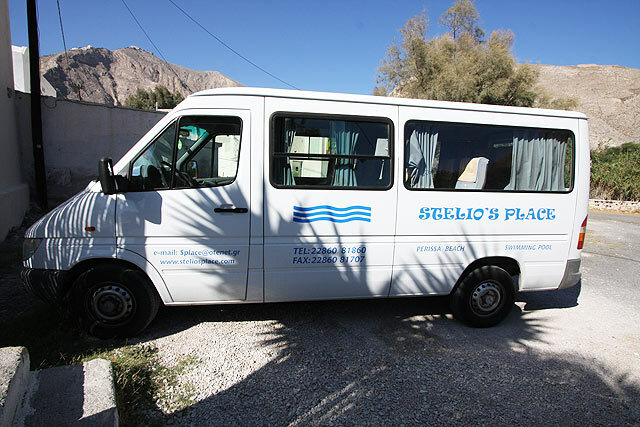 The number one travel guide in the world "Lonely Planet" recommend Stelios Place as ….. A great place and an absolute bargain!! 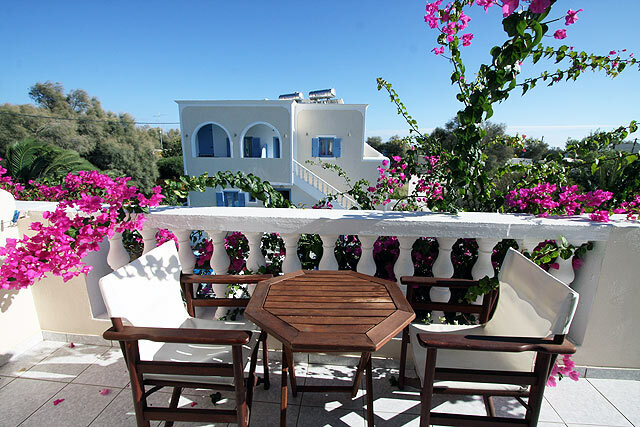 We are located just 30meters away from the most popular beach in Santorini Island , situated at the South-eastern part of the island, it is one of the most impressive beaches in the Aegean. Black sand, made of lava, is extended for some 7 klm, combined with crystal clear water and a glaring and burning sun. 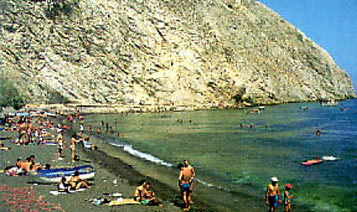 Due to this unique combination, Perissa is the most popular beach. 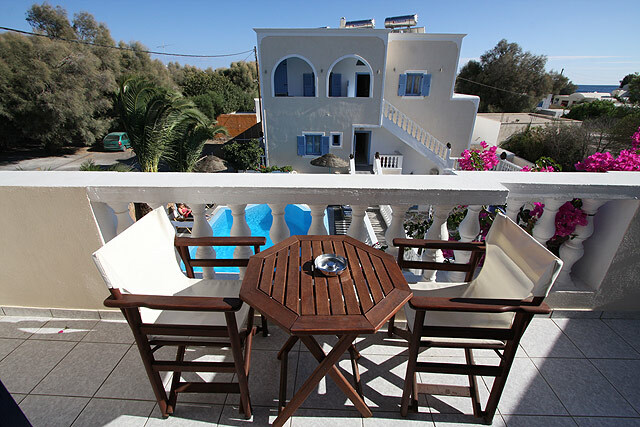 Well organised, it offers food and drink at the sea front taverns and bars, and a range of sea sports as windsurfing and water skiing; there is also a diving club. Some trees at the sea front make the beach ideal, since they offer the precious shade, in general difficult to find at the Aegean islands. 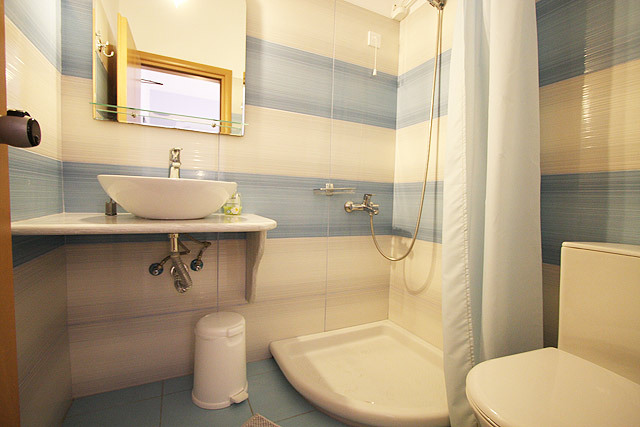 In 2010 the hotel was renovated fully to better serve our customers. 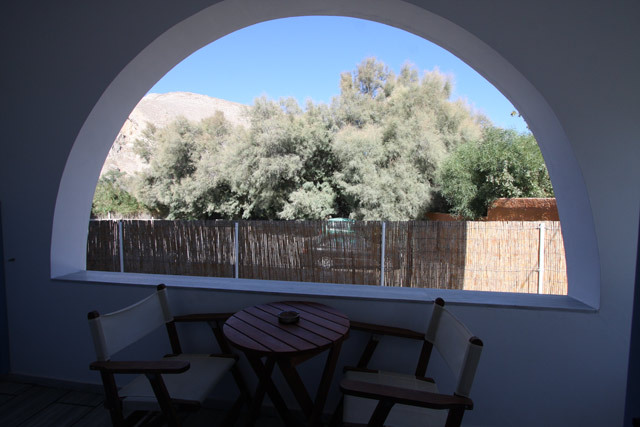 Each room has private balcony, private bath/shower, 24hours hot water, air condition, refrigerator, TV, safety deposit box and daily house keeping. All those facilities are including in the rooms prices. Also WI-FI is available in the rooms and in the lobby area without an extra charge, you have just to ask us at the reception desk for the password to login. 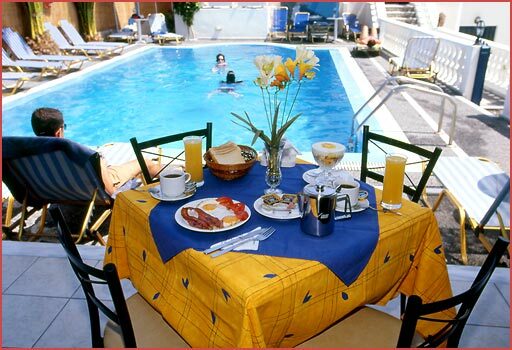 At Stelios Place you will NEVER get an extra fee in any of our facilities except the breakfast. The breakfast hall open daily from 08:30 am with a large menu so we can satisfy your every wish on your holiday with us. 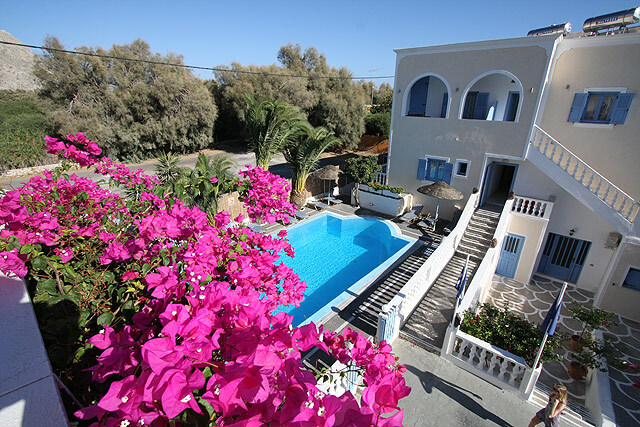 Stelios Place also offer a big outdoor swimming pool with sun loungers and a guest kitchen available for you to use (open 24hours) . If you have booked up to 1nights stay, there is also a free pick up and drop off service to the port or to the airport . Customers booked only 1night to stay, we are available to offer them only the free pick up service. 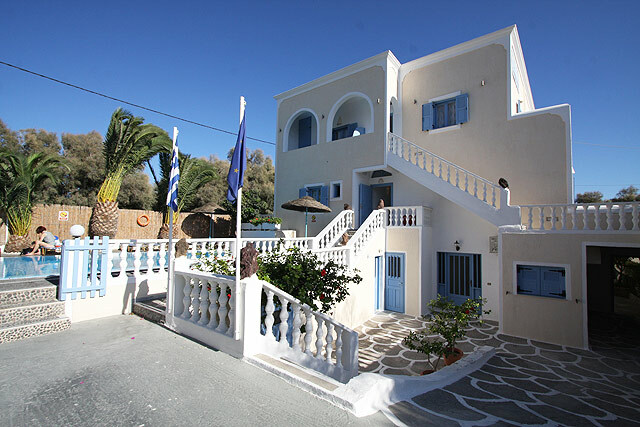 Once you arrive a part from our family will welcome you and inform you about Santorini Island. We will suggest you places & villages to visit such as activities to do! Our place promises you a pleasant friendly service to make your vacation unforgettable!